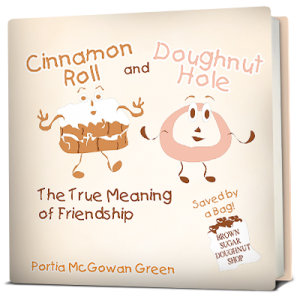 A delightful story of a cinnamon roll and a doughnut hole who are best friends. They are separated due to a slowed pastry shop business. An unexpected storm and a rare find in a neighbors fence patches things up and jump-starts the business and friendship.